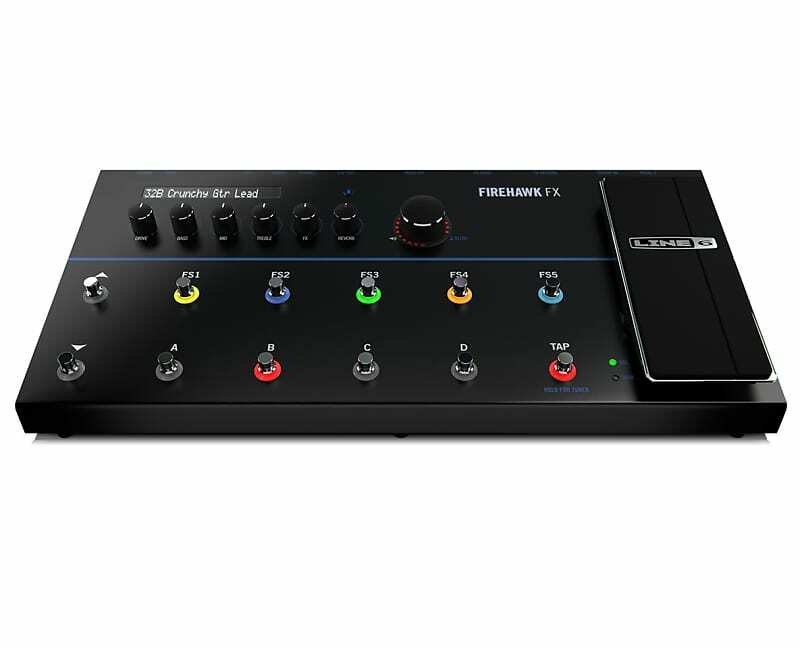 Line 6 has introduced Firehawk FX, a new multi-effects guitar processor that they say ‘combines world-class tone’ with intuitive wireless editing. The Firehawk Remote app for iOS and Android gives you the ability to sculpt your tone, using 200 amps and effects. The app lets you create, save and recall an unlimited number of presets. Featuring 1/4” and Variax Digital (VDI) inputs, two outputs, FX loop, USB connectivity and ultra-low latency, Firehawk FX is designed to be an ideal guitar recording interface for PC, Mac and iOS. On stage, Firehawk FX provides easy access to essential functions. Five footswitches with colored LED rings make it easy to change tones and switch effects on the fly. And the company says that they Firehawk FX’s ‘battle-ready construction’ is ready for the punishment of touring. Based on purchase price of $349.99 at 10% APR for 12 months. Excludes tax and shipping fees, to be calculated at checkout. Rates range from 10-30% APR. Choose from 3, 6, or 12 monthly payments.